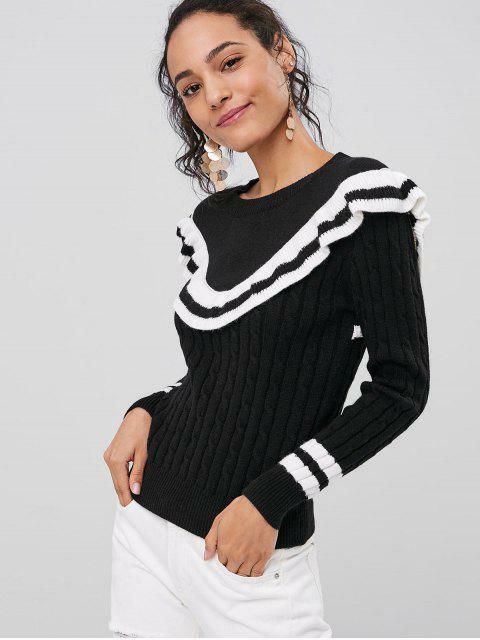 [47% OFF] 2019 Contrasting Ruffles Sweater In BLACK | ZAFUL .. 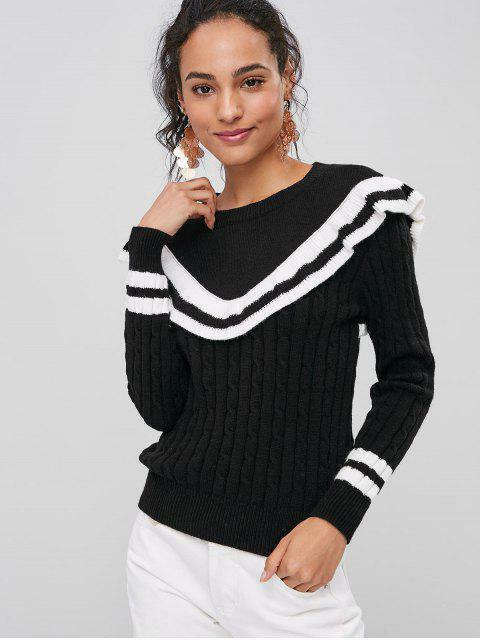 This pullover sweater mixes knits and the contrasting statement ruffles detailing, which gives a uniquely preppy staple of the feminine style. The panel of the stripes pattern detailing gives it a hint of the contrast. Layer it over anything from jeans or skirts for a look that will let your inner free spirit loose.